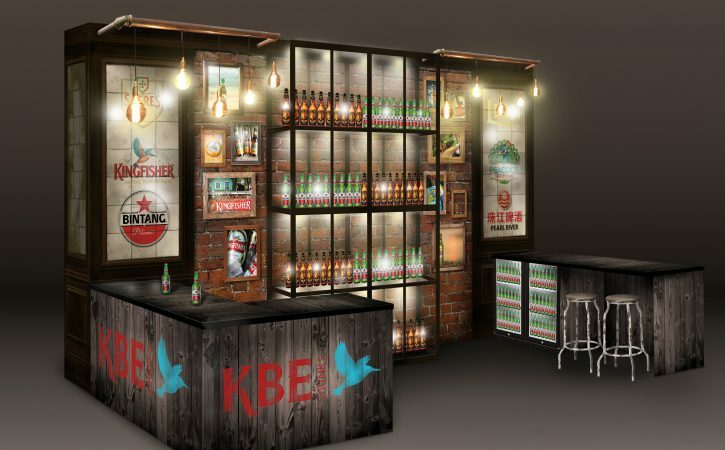 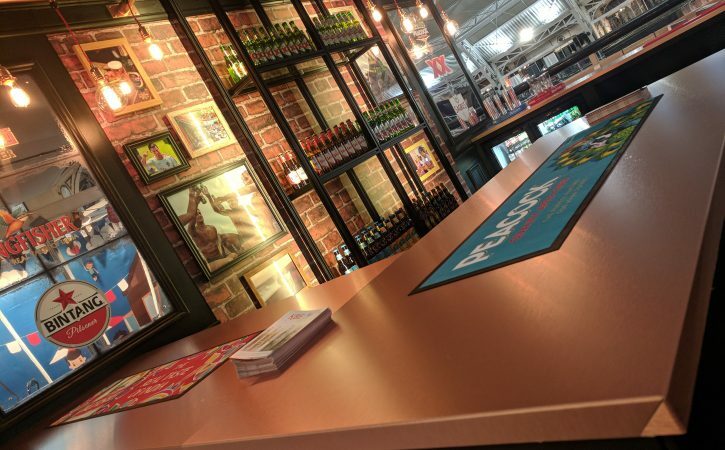 Copper, brick, old style timber and vintage style mirrors all make up this bespoke exhibition stand for Kingfisher Beer, who were exhibiting at the Casual Dining 2019 Event. 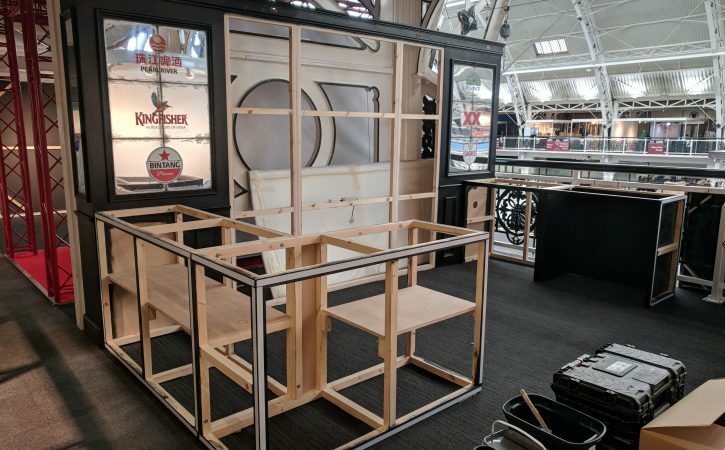 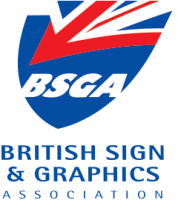 Working with the design concept from H C Design, we manufactured the stand in house and installed it at the Business Design Centre in London. 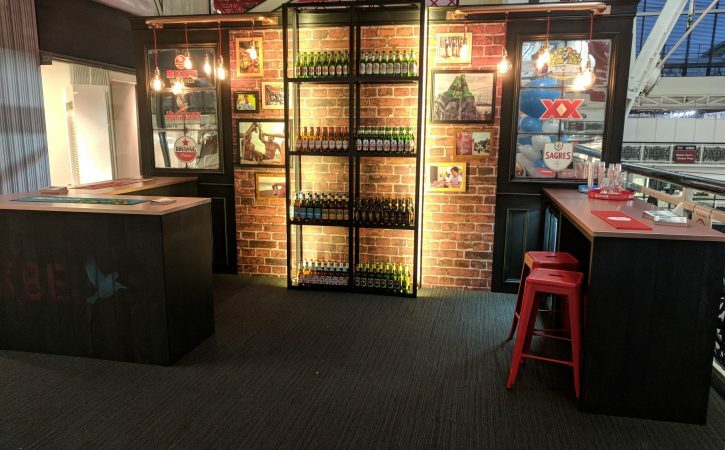 A timber framework made up the main structure with retro looking wood and brick effect graphics attached to the framework to form the walls and serving area counters. 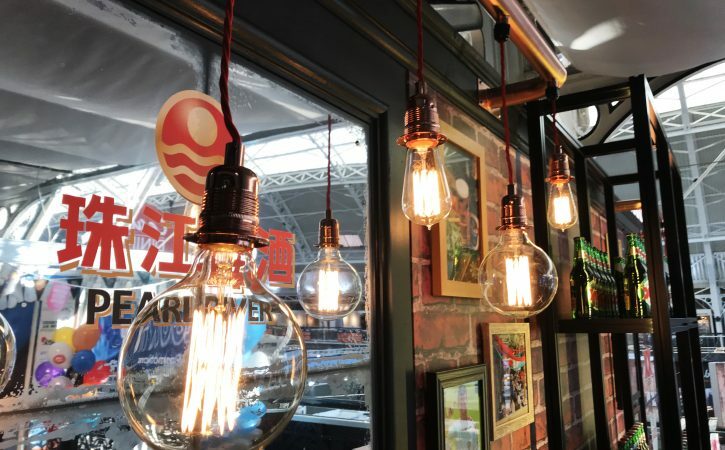 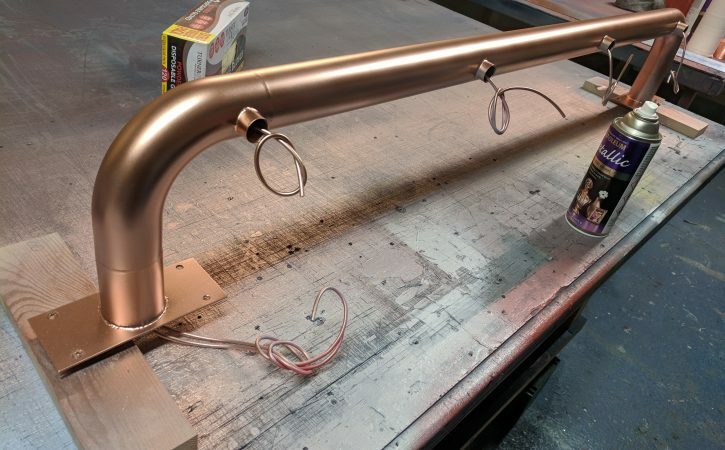 Copper effect tubes, worktops and lighting gave the design a trending look, creating a welcoming ambience for the 100s of people that attended the event. 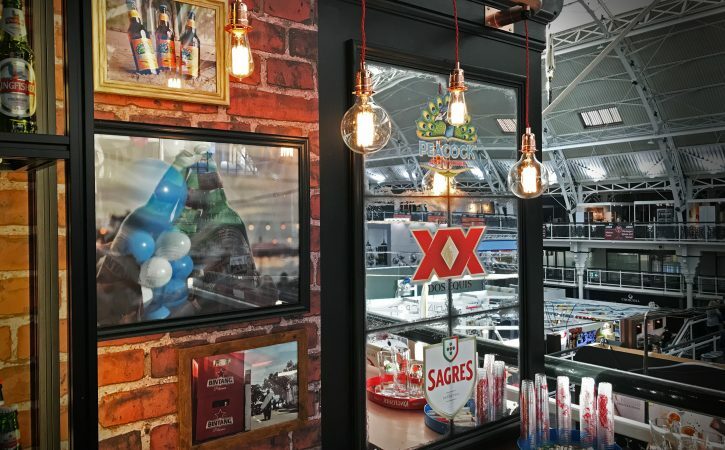 Vintage style graphics were printed onto the mirrors using our latest state of the art EFI Digital printer.